The Durango from Dodge has been going strong as a top SUV for a decade and a half. Three generations of this SUV have hit the auto market and millions of Durango owners can’t be wrong how great these vehicles are on the road. There are two distinct engines that are the most common in the Durango. We have remanufactured 4.7L engines and the 5.2L engines for sale. We do carry used engines for sale as well to give everyone an opportunity to find the right Chrysler engine for their needs. 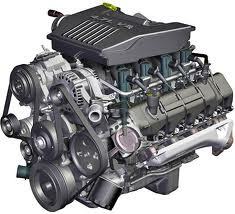 The PowerTech engine from Chrysler is a V8 powerhouse that is also used successfully in Jeep SUVs. As much as 300 horsepower is found in every 4.7 PowerTech engine and we make sure this heavy-duty power is never altered. You might find that some dealers that make attempts to remanufacture engines end up putting what they think is right into the rebuild. We follow the rules that Chrysler makes us follow to be able to use the Dodge name. We get our engines only from trusted dealerships and other partners that we have built relationships with around the country. All of the Dodge Durango engines for sale in our inventory are the same quality. We don’t lower our quality just because we offer the lowest price possible on the Internet. You won’t find us replacing any parts that are not genuine in our engines. When we start our process of remanufacturing, we select parts from our parts inventory that are OEM. We put true Chrysler parts on each 4.7 or 5.2 engine. You won’t find any no-name parts or components on our engines when you take a closer look. We also use only one mechanic per engine to make sure that the same quality of work goes into each motor. When too many people get involved, it can muddy up the rebuilding process and make it harder to evaluate the results. Our mechanics give their group opinion after each engine is built by one of their colleagues. Because our Dodge engines are the best around, you’ll never read any complaints online or in an engine forum. The results of our rebuilds and the high quality of our used motors help build our engine reputation. We put quality and customer service before our own profits. We don’t make a lot of money on the sale of an engine, but we also gain repeat customers off of every sale that we make. This is more than enough business to keep us going for many years. Whether you’re a driver, mechanic or salvage yard, we take care of you. Our 4.7-liter Durango and 5.2-liter V8 engines are shipped super fast to any location. We not only pay for your phone call, but we give out our price quotes quickly. Call 1-877-630-3873 and you’ll see just how great we treat you. Go ahead and check out our price. It should not take you long to figure out you won’t get a better deal online. Give us a minute and we’ll email your quote when you use our Durango quote form. You’re dealing with complete professionals here.